The city of Preveza is experimenting the first Farmers Market where producers and cooperatives sell their products directly to consumers. Each Saturday, the consumers of the region can find fresh fruit and vegetables grown from the farms of the territory. 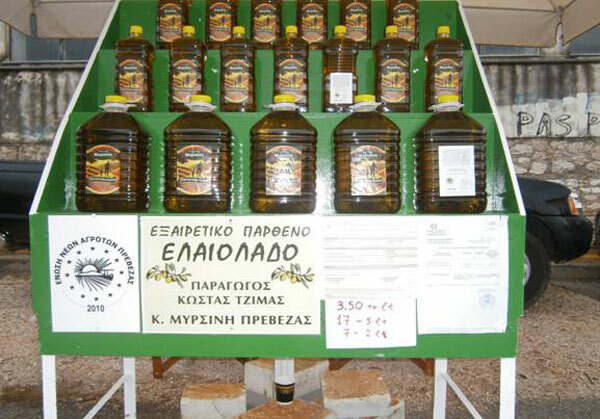 Agricultural products such as virgin olive oil are available at lower prices: up to 50% less than those in the supermarkets. The organization of farmer's market has been undertaken by the union of young farmers of Prevaza, the municipality has provided a free area, while having a shared up badges to dealers. The aim of the Rural Development Ministry is to make this kind of markets an institution, permanent events, and not occasional fashion bazaars of farmers, where thy are managed by the producers themselves in cooperation with the respective municipality. The aim is to provide agricultural products, once a week, directly from producers to consumers to have cheaper and fresher products. Many are the benefits for the final users of this best practice: improved income for producers, who can improve their activities even during periods of economic crisis; a reduced price for agrofood products; promotion and strengthening of local agricultural products in the region; reduction of carbon footprint. Producers will improve their profitability by selling products to local communities and reducing costs. Consumers can count on high-quality, local products. This best practice can be transferred to other territories. For the institution of farmers market it’s relevant that the chosen area are located near to urban centers so that the transport is reduced, dynamic groups of producers can be involved and there is no lack of available spaces.